Those interested in applying to Jackson State will need to submit, in addition to the application, high school transcripts and scores from either the SAT or ACT. The school is not highly selective--the acceptance rate in 2016 was 63%. Successful applicants generally have strong grades, good test scores, and an overall impressive application. For more information, check out Jackson State's website, or contact the admissions office. Founded in 1877, Jackson State University is a historically black university located on a 125-acre campus in Jackson, Mississippi. JSU offers a range of bachelor's, master's and doctoral degree programs. Professional fields and the sciences are particularly popular among undergraduates. On the student life front, Jackson State has an active fraternity and sorority system. 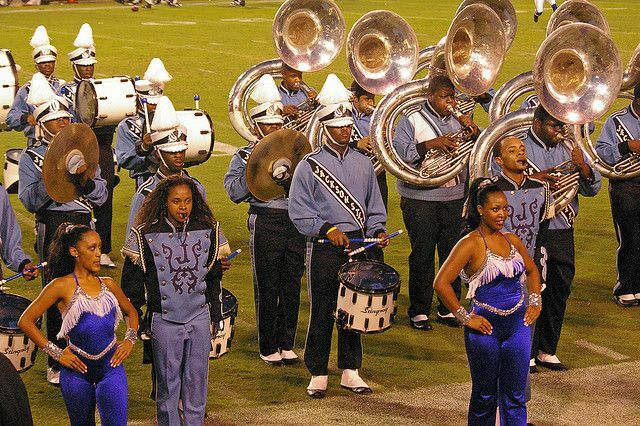 The school also has two Greek organizations for students involved in band, and The Sonic Boom of the South, Jackson State's marching band, has played at numerous college and professional athletic venues. In athletics, the Jackson State Tigers compete in the NCAA Division I Southwestern Athletic Conference. JSU fields eight men's and ten women's Division I athletic teams.